The City of Ouzinkie was able to save substantial amounts of diesel fuel and stabilize its rising energy costs with the combined efforts of community, state and federal agencies. The City of Ouzinkie, Denali Commission, DCCED Community Development Block Grant Program, and Alaska Energy Authority’s Rural Power System Upgrade Program all worked cooperatively on Ouzinkie’s successful and noteworthy diesel hybrid project. The City of Ouzinkie has historically been plagued with unreliable power, unpredictable outages, and numerous consumer complaints. Customers routinely replaced damaged electronic equipment and appliances due to power quality problems. The outdated powerhouse equipment was far past its designed useful life. The plant consisted of two inefficient diesel power generators, obsolete manual controls, and an unreliable hydroelectric system. The system required constant operator intervention to maintain a marginal level of operation. The existing powerhouse structure was in relatively good condition and consisted of steel construction with concrete floors. 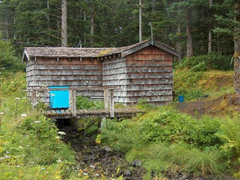 The dam, penstock, and turbine building were in average condition. 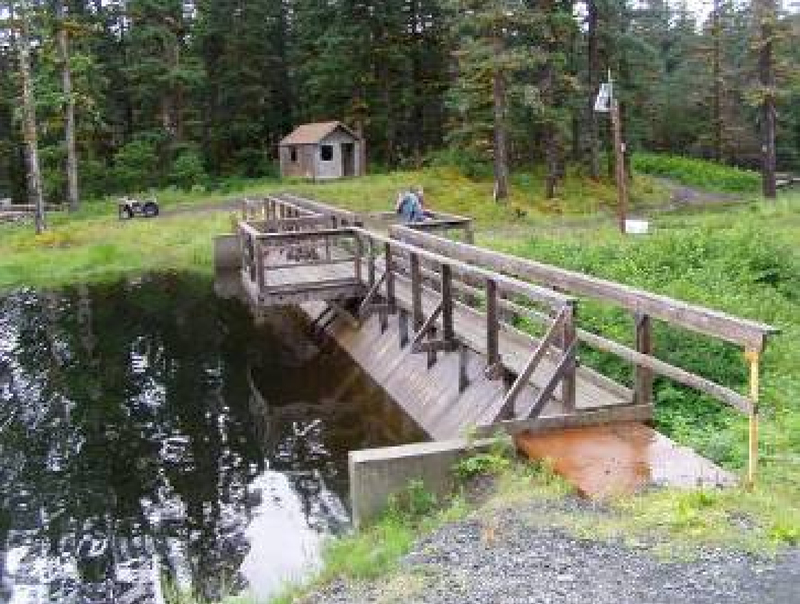 The City’s water reservoir, dam, and penstock serve a dual purpose. They supply the community with potable water and provide the energy needed to turn the hydroelectric turbine. When the water level behind the reservoir becomes low due to freezing temperatures or low precipitation, the operator must shut off the hydroelectric and revert fully redundant to expensive diesel generation. The obsolete methodology used for the hydro load and frequency stabilization wasted nearly a third of the potential energy of the hydro. A diesel engine was routinely operated with the hydroelectric turbine to provide backup power just in case the hydro went offline. The trade-off for a small increase in reliability was a significant increase in diesel fuel costs. 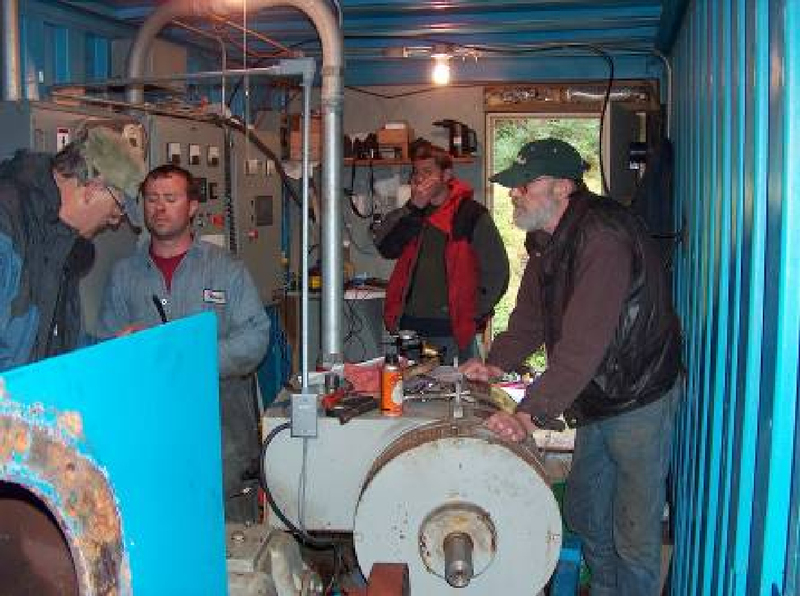 The diesel generators’ sizes were mismatched for community load and for operation with the hydro. The project goal was to stabilize the cost of electrical energy in the community while improving the reliability and safety of the systems. This was accomplished by completely rebuilding the diesel powerhouse and renewing the hydroelectric system. The diesel powerhouse structure was sound, but a small addition of a control room was added for the safety of the operators and the reliability and life of the new electronic switch gear and control equipment. The cooling radiators were replaced and relocated outside. The diesel fuel and cooling piping were consolidated. The old, single-wall, bulk diesel fuel tank was replaced with a double-wall intermediate tank outside the plant. A new day tank with auto fill controls was installed. An automated communications link between the diesel generator switch gear and the hydro facility was established. 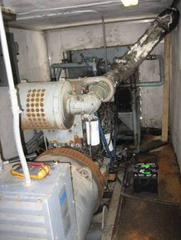 The turbine and generator were refurbished. The two old 60kW and 200kW generators were replaced with new 40kW, 100kW, and 155kW diesel generators. All three have automatic paralleling and load sharing capabilities in any combination with each other and with the hydroelectric turbine. The modern switchgear automatically dispatches the most efficient generator. The new powerhouse switchgear and controls can bring the system from blackout to full diesel to diesel/hydro combination to full hydro. The system will select the most fuel efficient combination of diesel and hydro power all the way to full hydro (diesel off) operation. Though not fully complete, the project has already substantially lowered the community’s diesel fuel consumption, increased power reliability and quality, and increased the efficiency of the water resource. The community’s utility manager, Tom Quick, recently reported that last year the community expended over $18,900 in diesel fuel at a cost of $2.76 per gallon. This year they have only spent $4,900 at a current cost of $3.56 a gallon. Port Lions, a nearby community, is reportedly paying over $8.00 a gallon for diesel. Mr. Quick believes that keeping community energy cost stable has prevented egress of the local population. A look inside the hydro building at existing equipment. Recently, the reliability and automation of the new diesel/hydro hybrid system was put to a real world test when an anomaly occurred in the rural community’s electrical distribution system. The hydro was supplying the full community load when a momentary distribution fault tripped the hydro off-line in the early morning. Within seconds the powerhouse controls started the diesel generators and restored power to the town. Within minutes the controls restarted the hydro, paralleled it with the most efficient diesel generator, and then cooled and shutdown the diesel generator. Without the intervention of an operator in a short period of time the community was back on clean, efficient hydro. To provide long-term efficiency, reliability, and safety, replacement of the controls and switch gear at the hydro turbine building, addition of a reservoir level sensor and surveillance camera, and installation of a reliable communication link to the dam reservoir. Future plans include waste heat recovery from the diesel powerhouse and electrical distribution improvements. With the partnership of the Denali Commission and other agencies, Alaska Energy Authority’s Rural Power System Upgrade Program continues to assist rural communities to achieve results similar to those of Ouzinkie. 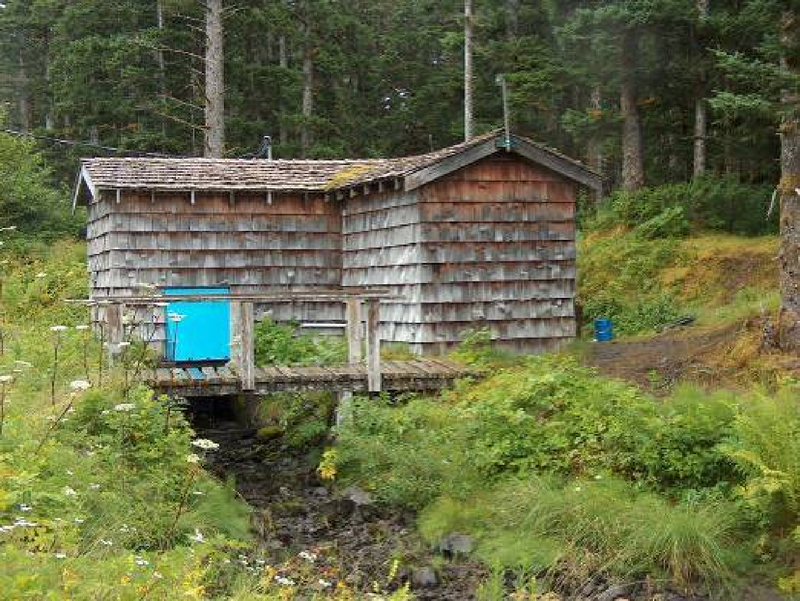 King Cove, Pelican, Gustavus, and Larsen Bay have similar hydro and diesel electric systems. AEA is currently working closely with these communities to maximize their use of renewable hydro resources and minimize their use of diesel fuel.